2018 is an exciting time for anyone seeking to invest in French property. The new attitude to property pricing is all working in the favour of the buyer. The region of Lower Normandy (Lower-Normandy Property Guide) has always offered bargain property, but now, in 2018, the bargains are better than ever. Of course, 2018 does offer exciting prospects for property buyers, but it is still a time of austerity. So, if you are looking to buy a property in Lower Normandy, it could be the lower priced ones that attract your eye. 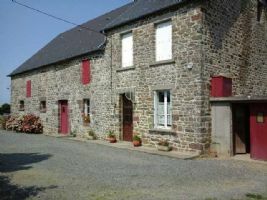 Lower Normandy has lots of cheap property, and we've sorted the wheat from the chaff and found some great ones for you. Property buyers often request properties for renovation (House Renovations in France). Not only do they enjoy the challenge of restoring a crumbling home to its former glory, but they also appreciate the chance to make hard work pay off in monetary terms. Doing the renovation work yourself means that you should see a good return on your investment. In fact, renovation properties have proved so popular in France that there are hardly any left in certain regions. They can take some finding! But, we've done the leg work for you in Lower Normandy and come up with some potential gems. Of course, not everyone likes the idea of spending their time in France renovating an old house. Some buyers prefer to reap the rewards of someone else's hard work and buy a finished, ready to move into home with all mod cons. If this sounds just the ticket, take a look at our fully renovated properties below. Lower Normandy is a largely agricultural region, and this makes it a happy hunting ground for house buyers seeking landed property. The region is also often called the Land of the Horse, and is a perfect location for horse owners (Horses in France). The climate is good for horses, the grass is lush and full of nourishment and the countryside is tranquil and offers idyllic hacking. There's no shortage of properties with good land attached either. Lower Normandy lays claim to some of the best beaches in France, and ease of access to these is a major attraction for property seekers. Property in the famous seaside towns can be quite pricey, but if you keep just a little further away you can grab some real bargains and still be on the beach in les than half an hour. So close your eyes and imagine a scene from Lower Normandy. A slightly crumbling farm house, showing off its external timbers? A grey slate roof? A setting of green grass, apple trees and a table groaning under the weight of jugs of golden cider and huge rounds of creamy, oozy camembert cheeses? 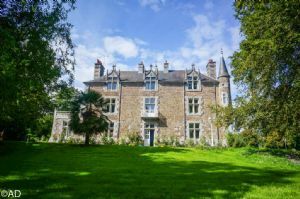 Whether this rural idyll is what draws you to the region, or whether it is the golden beaches and the magical town of Mont St Michel, or the history and heritage that most appeals, just take a look at the ten properties we've selected here for you. The region is the perfect place to find that bargain dream home in France this year. 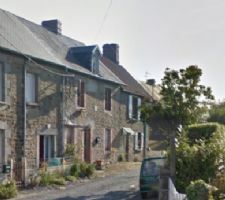 interesting holiday home situated in the middle of a village opposite the church a few kilometres away from the popular market town of Percy in La Manche. 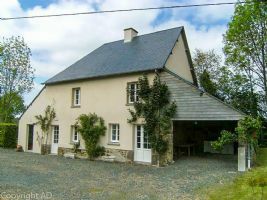 This would make an ideal holiday home and you are not too far from the main A84 - one of principal roads serving Normandy. The house is only a few kilometres from Villedieu les Poeles famous for the bell foundry - attracts lots of tourists. 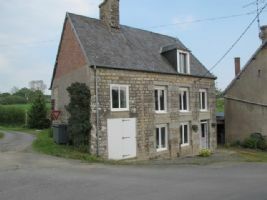 Situated at the end of cul de sac off a country road this is a two bedroomed farmhouse with attached outbuildings. Beautiful location with nice views. The property needs upgrading and needs a fitted kitchen. Room to knock through into adjacent outbuilding increase the floor area substantially. Also possibility to purchase the surrounding land which is upto 7 hectares. Magnificent 16th Century riverside manor-house set in its own ground of over one acre. This is a truly beautiful property which has retained many of its original features giving it a bourgeoise internal appearance. The property is currently configured as two separate dwellings consisting of two apartments. 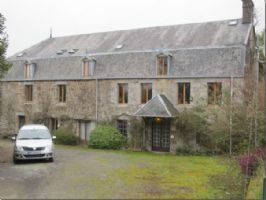 The property is on three levels and has 9 bedrooms most are en-suite and would make an excellent B&B and still provide accommodation for the main family. Must be seen. Equestrian Possibilities - Set in the Normandy countryside and accessed via its own long driveway, passing one of the paddocks, you arrive to find this delightful stone built home nestling in a private and peaceful location without being isolated. A beautiful property with 10 main rooms together with a second house with 3 rooms, outbuildings and 13,134 sqm of land. The main house has 3 livings rooms with fireplaces, 2 kitchens, 6 bedrooms, 2 bathrooms, pantries and store rooms, garage . 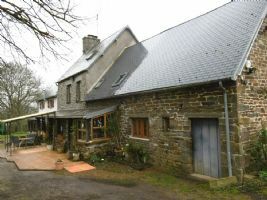 The 2nd house, a renovated and used a s a gîte has a living room with fireplace, kitchen, 2 bedrooms, shower room with WC, garage & store room.Large farm building around 200 sqm. Lovely gardens with established trees, lawns, some grazing, and a pond. Property composed of a castle, a longère house keeper on land of 2.7 hectares. 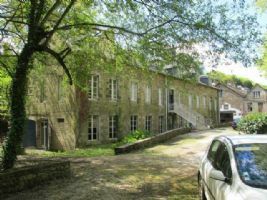 Château - this type of property rarely comes for sale in this area and is a great find - ideal either for someone wanting a small château or for B&B or gites. Redeveloped to provide extensive owner's and letting accommodation, a fully renovated and very substantial property, offering in excess of 600m² of habitable floor space with quality fixtures and workmanship throughout. 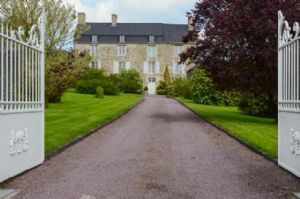 Set in a peaceful hamlet, just 5 minutes from the market town of Villers Bocage and the A84 motorway, 20 minutes from the medieval town of Bayeux, 30 minutes from Caen and the sea, ideally situated for the D-Day attractions too.